Since the growth of industrialization, the manufacturing industry has always been a critical part of the world economy. A report by McKinsey suggests that when thoroughly utilized, manufacturing can contribute as much as 35% to a country’s GDP. Technological advancements have not only made manufacturing a source of unprecedented employment opportunities but have also made manufacturing plants a safe and hazard-free working space for its employees. In mature economies, manufacturing also drives productivity through the development of production machinery. However, the manufacturing industry is now going through another wave of change, one that is driven by big data. The achievement of maximum efficiency is now a new benchmark in manufacturing, particularly in production machinery. Like other industries, big data has the potential to drive positive change through uncovering new insights. By identifying variables that directly affect production, engineers with big data certification can optimize the development of production machines such that they achieve maximum efficiency. 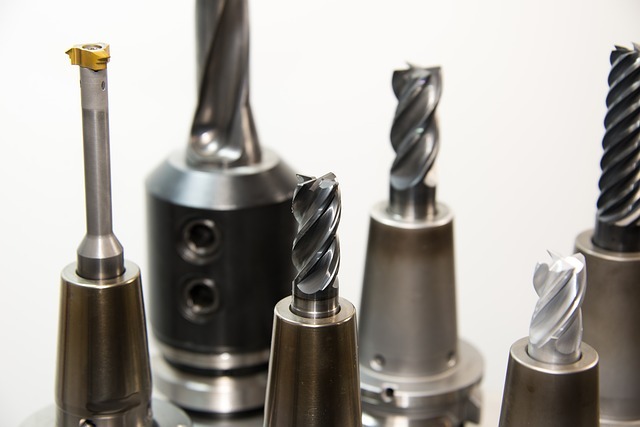 The profits of the manufacturing industry rely heavily on maximizing the value of assets, and gains in asset performance can lead to significant improvements in productivity. Similarly, a reduction in the breakdown of assets not only reduces inefficiency but also prevents losses. Hence, optimizing asset performance is one of the key focus areas of the manufacturing industry. When it comes to production machinery, the machine logs provide performance data that can be used by big data. Some engineers also use the Internet of Things (IoT) to have a more comprehensive look at all the connected assets, so that the data can be measured, recorded, and transmitted in real time. Through predictive analytics, manufacturing engineers can also schedule maintenance of machinery to prevent it from unexpected downtime and breakdowns. According to a study by Honeywell-KRC, big data has the potential to reduce machinery breakdowns by 26%, and can also decrease unscheduled downtime by close to a quarter. The high demand for quality finished products has rendered the manufacturing process as increasingly long and complex. To ensure higher quality, engineers have to make sure that efficiency is achieved at every stage of production, which requires more effort and resources. Big data analytics has given manufacturers the ability to streamline their processes while also examining it at every step. By forming statistical models for different stages, engineers can analyze every segment of the production process and examine every incongruity in minute detail, and can also assign maintenance tasks for them. This ability to narrow down on the problem areas allows engineers to work on asset dependencies, thus allowing them to enhance the production process, and even creating alternative plans to address potential bottlenecks. The traditional manufacturing processes focus on producing machinery at scale while leaving the personalization to other enterprises that serve a more niche market. This approach was developed because the time and effort required for the customization of individual machinery did not make economic sense when serving a smaller market. Big data analytics has changed the approach by making it possible for engineers to predict the demand for customized machinery accurately. By studying patterns of customer behavior, big data gives engineers more lead time, thus giving them the opportunity to produce customized machinery as efficiently as the ones produced at a greater scale. This also drives innovation as big data gives engineers an opportunity to analyze customer feedback to their machinery in real time. By providing engineers with a granular view of all manufacturing processes, big data makes it possible for them to alter machine development in a manner that makes room for customization. Engineers then identify instances in normal operations where they can incorporate customization so that personalized machinery is manufactured using in-house tools. In exceptional cases, they can also use big data to forecast demand so that they can determine up to what extent normal production can be postponed to allow development of customized machinery. According to a report published by Deloitte on the rise of big data in the development of personalized machinery, the flexibility of postponing production gives engineers a new capability that allows them to take on more complex forms of machine development. In addition to this, the opportunity of altering production also reduces inventory levels and increases plant efficiency. Thus, the streamlining of machine development is not only beneficial, but it gives engineers the bandwidth to drive more innovation and enables them to maintain efficiency even in customization. Big data analytics has now carved an indispensable space for itself in the manufacturing industry. When it comes to the development of complex production machinery, big data offers engineers an unprecedented advantage over other manufacturing methods. As opposed to alternative approaches, big data makes manufacturing cost-effective while also promising speed and agility. Big data analytics offers holistic solutions to engineers and allows them to manage and integrate critical data seamlessly. The end product of these solutions is production machinery that is unparalleled in its performance and efficiency.